Today, more employees than ever find a promising career path blocked by noncompete agreements that meant little to them when they signed it. In Arizona and many other states, courts will enforce contracts and noncompete agreements that prevent former employees from working for competitors for certain timeframes. Is that noncompete agreement fair to your future? A covenant not to compete/noncompete agreement prevents a former employee from working in the same business elsewhere or using confidential information for a certain period of time. Anti-piracy (also called non-solicitation agreements) restricts a former employee from soliciting a former employer’s customers or providing services to them. Nondisclosure agreements not prevent competition, but block a former employee from disclosing or using confidential information or trade secrets from previous employment. If you’re asked to sign an agreement that sounds like one of these, keep in mind that they are supposed to be reasonable and protect your employer’s legitimate interests. Covenants with broad noncompete language or that overreach won’t be held up in most courts. A noncompete covenant, or a covenant not to compete, is a promise by an employee not to compete with his or her employer for a specified time in a particular place after leaving employment. 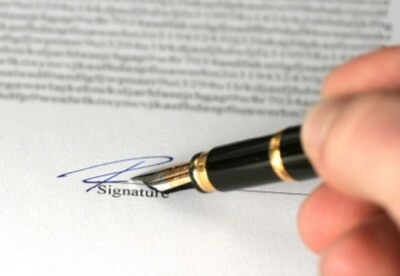 It’s usually clause in an employment agreement or a separate contract standing by itself. Arizona follows the reasonable requirement test. What is reasonable depends on the whole contract, the kind of character and location of the business, the purpose to be accomplished by the restriction, and circumstances which show the intention of the parties. Courts want to support the right to work, the right to contract, and the public’s right to competition. An employer may not enforce a post-employment restrictive covenant simply to eliminate competition. The legitimate purpose of post-employment restraints is to prevent competitive use, for a time, of information or relationships which have significant impact to the employer and which the employee acquired in the course of employment. The guideline most often used says a covenant is reasonable to protect the employer’s interest in maintaining customer relationships after an employee leaves for only as long as necessary to replace the employee and give the replacement a chance to show customers that he or she can do the job. Consideration for covenant. An employer must compensate an employee in exchange for a covenant not to compete. An ongoing question is whether continued employment alone amounts to an exchange for a covenant not to compete. Geographical and Temporal (Time) Limitations. In assessing whether a restrictive covenant is reasonable, courts routinely review the geographical and time limitations in such covenants. Actual Harm. In order to recover damages, proof of actual harm, even if it’s difficult to prove, is required. Employment contracts and noncompete agreements can be easily misunderstood. Too often, they favor the employer. If you are facing a decision concerning one of these issues, please contact my office for a consultation on your agreement.